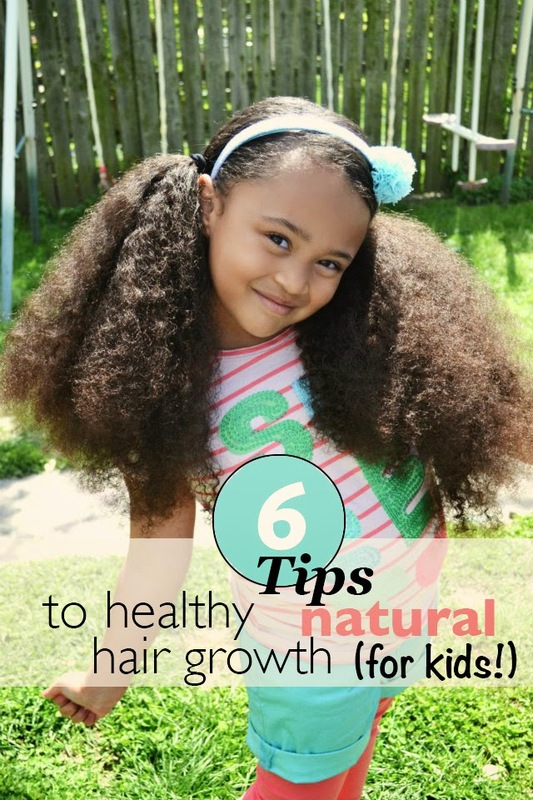 Yesterday we talked about two important tips to get your child started on their healthy natural hair journey. Today, we are going to discuss the importance of protective styling and how it will help retain length. If you’ve been following our blog for a while then you know we can be pretty serious about protective styling. In fact, most of 2011 Miss A was wearing protective styles and that just so happens to be the year she retained the most length. We even had a couple of Protective Styling Challenges that year (shout of to all participants!). 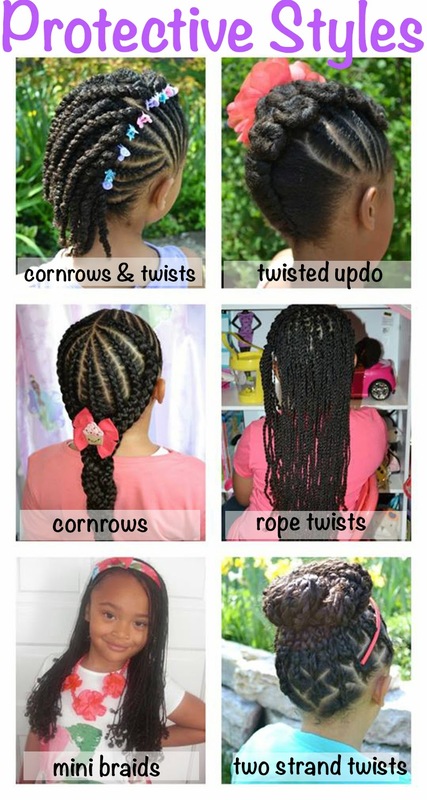 You can use the search box to the left to view more protective styles on the blog. Most people will probably tell you a protective style is anything that hides the ends of the hair so no damage is being done, or something along those lines. While they are not wrong for thinking this, I don’t completely agree. Buns, for example, hide the ends; however, the bun could be pulling at the hairline, and in Miss A’s case, causing terrible tangling. There will be a lot of trial and error and ultimately you will have to do what works best for your child's mane. Don't forget to be careful with how tightly you style your little one’s hair. If they are in pain, don’t just chalk it up to them being tender-headed. Try to be as gentle as possible, otherwise it defeats the entire purpose. For us, protective styles last anywhere from one to six weeks so always remember to continue to moisturize the hair while it’s braided or twisted up. Bee Mine Juicy Spritz is simple and effective. Tomorrow we will discuss the final two tips in this three part series so be sure to stop by and check it out. I will also be answering any questions or concerns you all may have. So, if there's anything you'd like to ask, be sure to leave a comment.